If you take a look at what Jordan Fouse has accomplished in his four seasons at Green Bay, it’s almost unmatched. He has been the epitome of durability and consistency during his time as a Phoenix. The senior has started every single game during his Green Bay career, 127 total, a new program record surpassing his former teammates Keifer Sykes and Alec Brown. It’s one thing to be available to play in every game, let alone start every game. But Fouse has done more than just show up during his career and has the numbers to prove it. He has 250 career steals, breaking the Horizon League record previously held by Youngstown State’s Kendrick Perry. His 976 career rebounds are a program record, breaking a mark that had stood since 1971. His 176 career blocks are 2nd in program history behind only Alec Brown’s 309, which is a conference record. Fouse has even displayed an offensive side to his game this season, something that wasn’t really the case his first few years in a Green Bay uniform. He recently became the 28th player in program history to score 1,000 career points, joining his classmate Carrington Love who accomplished the feat earlier this season. He averaged 6.8 points per game as a freshman, 6.5 as a sophomore, and 7.5 as a junior before averaging a career best 12.0 points per game so far this season. He even scored a career high 30 points and grabbed 14 rebounds in a victory over Detroit back on January 25th. 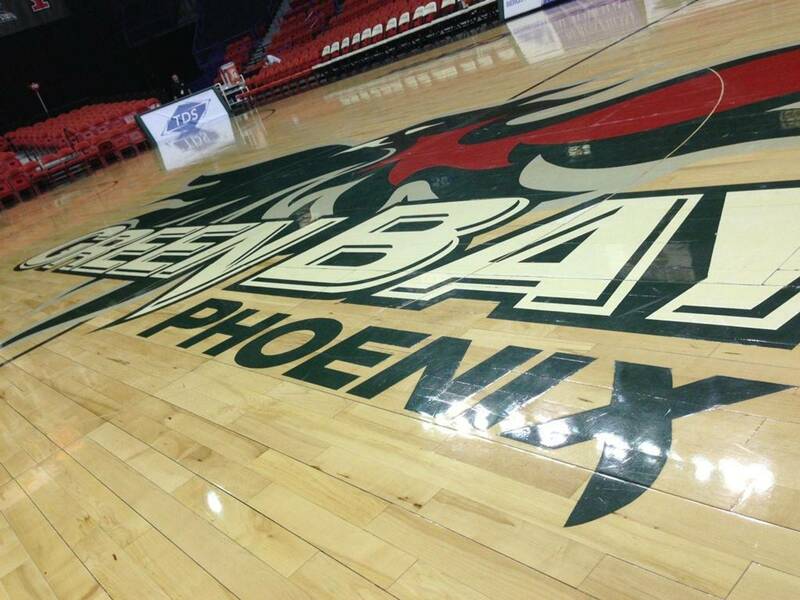 Certainly, some of it has to do with Phoenix head coach Linc Darner’s up tempo, high scoring system. But Fouse has also improved his shooting stroke this season. A career 20.3% (11/54) shooter from beyond the arc prior to this season, he has made 30.6% (30/98) of his attempts this year. Fouse has also taken advantage of that aggressiveness by getting to the free throw line where he is vastly improved this season. He made 54.6% of his free throws in his first 3 seasons but is hitting them at an impressive 74.8% clip this year. A true diamond in the rough, he was lightly recruited out of high school at Racine St. Catherine’s, a basketball powerhouse. He helped St. Cat’s appear in two straight WIAA Division III State Tournaments, winning the championship in 2010 as a sophomore when he led his team in scoring in the title game with an 18 point, 11 rebound, and 5 assist performance. Fouse and St. Cat’s fell to current Wisconsin Badger Bronson Koenig’s La Crosse Aquinas team, 40-34, in the 2011 title game his junior year. At 6’7”, he garnered interested from several NCAA Division I schools, including UWM, but ultimately only received scholarship offers from two: Western Michigan and Green Bay. Fouse was part of a stellar 2012 high school basketball class in Wisconsin that featured Sam Dekker (Wisconsin), JP Tokoto (North Carolina), Matt Thomas (Iowa State), Zak Schowalter (Wisconsin) as well as Carrington Love. Still, Green Bay has been glad to have him. The Phoenix have gone 84-43 so far in Fouse’s four seasons including a regular season Horizon League Championship in 2013/2014 and two consecutive NIT bids. So, with just two Resch Center games remaining in his illustrious career, we say thank you. Thank you for re-writing the record books. Thank you for being an unsung hero and “glue guy” that did all the dirty work. Thank you for being a (likely) four-time Horizon League All-Defensive player. Thank you for willing to play second, third, fourth, or even fifth fiddle and be a key part in turning around a program, going from 18-16 in your freshman season to back-to-back 24 win seasons and NIT bids. 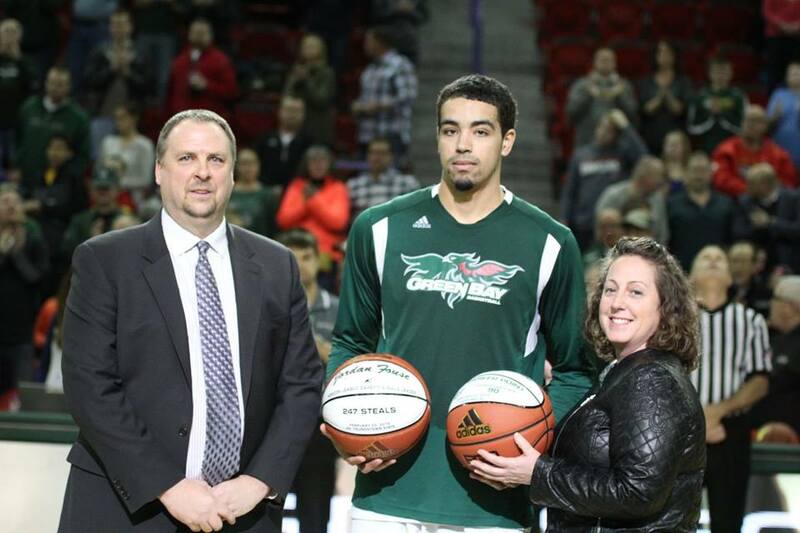 Thank you for helping to lay the framework during your senior season for a new era in Green Bay basketball. Thank you Jordan Fouse, one of the greatest players in program history.